Dr. Cioffi is best known as “the father of DSL.” It was his research that made the digital subscriber line (DSL) practical, and it has led to more than 400 publications and more than 100 pending or issued patents, many of which are licensed. He designed the world’s first Asymmetric Digital Subscriber Line (ADSL) and Very-high-speed Digital Subscriber Line (VDSL) modems, which today account for about 98% of the world’s more than 500 million DSL connections. He holds fundamental patents on ADSL, VDSL, and vectored VDSL as well as several concepts in joint wireless/wireline transmission quality. As a professor of electrical engineering at Stanford University, Cioffi supervised the PhD programs of more than 100 students over the course of more than two decades and taught Stanford’s world-renowned course sequence in digital transmission. His and his students’ research into discrete multitone modulation became widely adopted in DSL technology, used commonly for Internet access. In 1991, Cioffi took a leave of absence from Stanford to found Amati Communications Corporation based on these DSL designs. There, he and his colleagues built the world’s first DSL modem. This modem could transmit 6+ megabits per second over 9,000 feet of telephone line, and the design became an international standard by demonstrating 4 times the speeds of all other proposed designs. It was also the first to demonstrate live television transmission over a phone line. Cioffi later returned to Stanford, where he began researching Dynamic Spectrum Management (DSM), which mitigates service interruptions and allows DSLs and Wi-Fi connections to run with higher and more reliable data rates, as well as the vectored VDSLs that allow 100 Mbps speeds over 1 km of twisted pair. Vectored VDSLs are now announced for deployment in the US and throughout Europe, Australia and Asia. 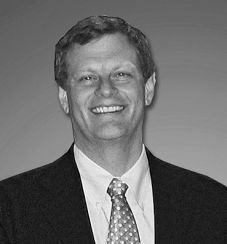 In 2003, Cioffi founded Adaptive Spectrum and Signal Alignment, Inc. (ASSIA) to help service providers realize DSM improvements in the performance and profitability of their broadband access networks. Today ASSIA’s customers provide DSL service to more than 80 million subscribers worldwide. Cioffi retired from Stanford to emeritus in 2009 and is full-time CEO and Chairman of ASSIA. Among his many distinctions, Cioffi was named an International Marconi Fellow in 2006 and is the 2014 recipient of the Institute of Electrical and Electronics Engineers’ (IEEE) Leon K. Kirchmayer Graduate Teaching Award, as well as the IEEE’s 2010 Alexander Graham Bell Medal. He also designed the worlds first echo-cancelled full-duplex voiceband modem while at Bell Labs in 1980, and also the world’s first cable modem prototype in 1993, along with the world’s first in-band digital-FM audio broadcast modem with Amati colleagues also in 1993. In 1989, Cioffi and his students also introduced the world’s first adaptively equalized magnetic-disk read channel system that increased storage density by 50%. Cioffi earned his BSEE in 1978 from the University of Illinois and his PhDEE in 1984 from Stanford University.